Boo is a full-time professional angler on FLW Outdoors Tour. In addition to tournament fishing, Boo is a fishing guide on World famous Lake Okeechobee as well as Kentucky Lake. 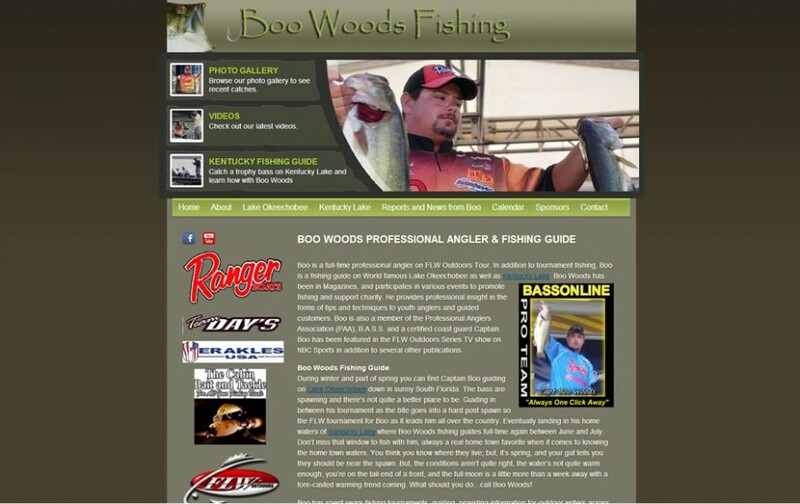 Boo Woods has been in Magazines, and participates in various events to promote fishing and support charity. He provides professional insight in the forms of tips and techniques to youth anglers and guided customers. Boo is also a member of the Professional Anglers Association (PAA), B.A.S.S. and a certified coast guard Captain. Boo has been featured in the FLW Outdoors Series TV show on NBC Sports in addition to several other publications.